Today Shades wanders the world as we add yet another portrait photography book to the collection. 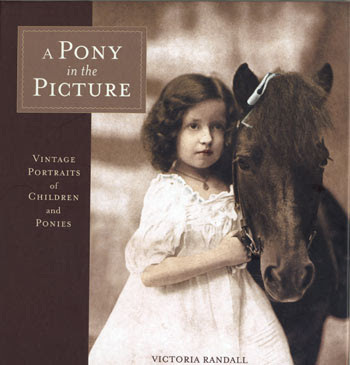 A Pony In The Picture: Vintage Portraits of Children and Ponies is a collection of antique and vintage photographs of children posing proudly with ponies and horses, often taken by itinerant photographers who traveled the countryside, suburbs, and cities. Each image captures a moment in time when it seems that all it took for a child to be happy was the patient presence of a shaggy Shetland pony and a borrowed cowboy hat. 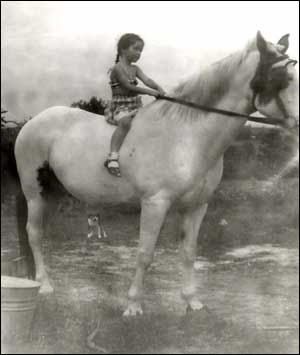 Victorian Randall is the book's author and was a horse-crazy little girl who grew up to be the executive director of the Eureka Theatre in San Francisco. She is also a collector and historian of antique equine art. The publisher, Ten Speed Press, tells us she lives in El Sobrante, California, with one man, one dog, one cat, and two horses, of course. There are 120 photographic portraits in the book covering nearly eight decades. The oldest 1880, the most modern 1990. Most were taken in the United States, however there are a number of examples from Canada, Great Britain, Belgium, Germany, Argentina, and Burma. Many of the photographs suffer the same fate as our family photographs and collections, they are a mystery. Nothing on the photograph indicates when, where, or why they were taken. There is shear joy in almost every photograph; a day in a pony cart, a moment as a cowboy or cowgirl, a cherished pet or a photographer's prop. Where there is information about the portrait or the photographer it is included. I will share one photograph from the book. One that is from my home state of Washington. 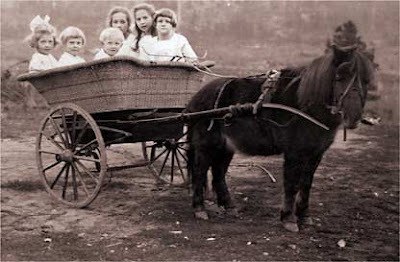 Ruth, age 9; Helen, age 7 and Frances, age 6.
their cousins Jean and Jack were brother and sister. A four out of four camera rating - Recommended Buy. Book Cover and Author Photographs Courtesy Ten Speed Press. Selected photograph copyright Victoria Randall, without permission, under fair use. Maven On Horse. Photograph. 1952. Privately held by the footnoteMaven, [ADDRESS FOR PRIVATE USE,] Preston, Washington. 2008. Thanks for the review --- you've just given me an idea for one of my "hard to buy for" persons on a Christmas list. THANKS. Absolutely beautiful book. 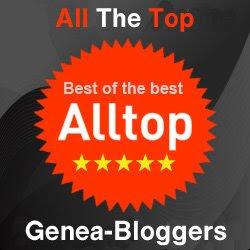 Thanks for giving us a review. September 26 - And The Guest Author Is . . .
September 19 - And The Guest Author Is . . .